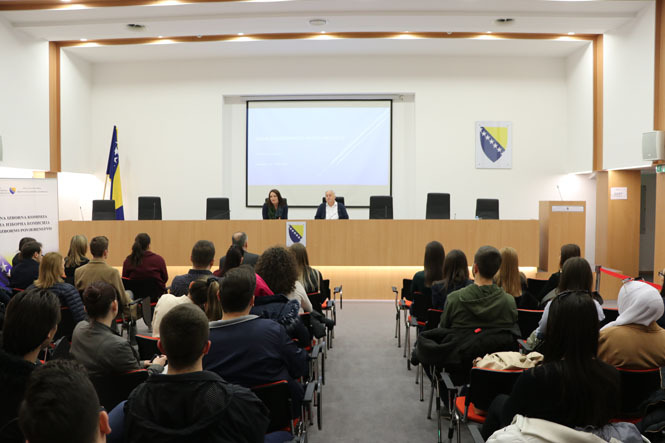 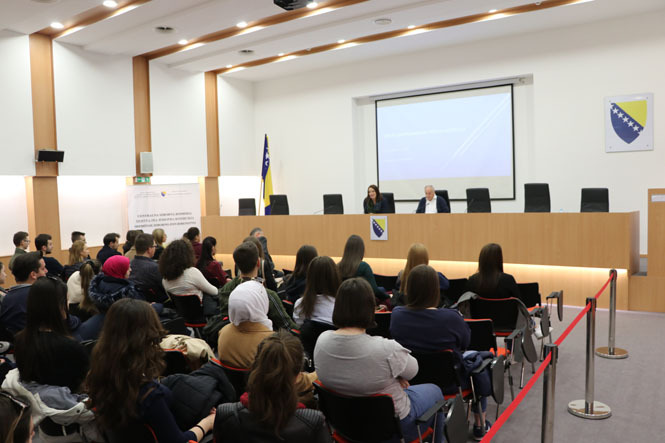 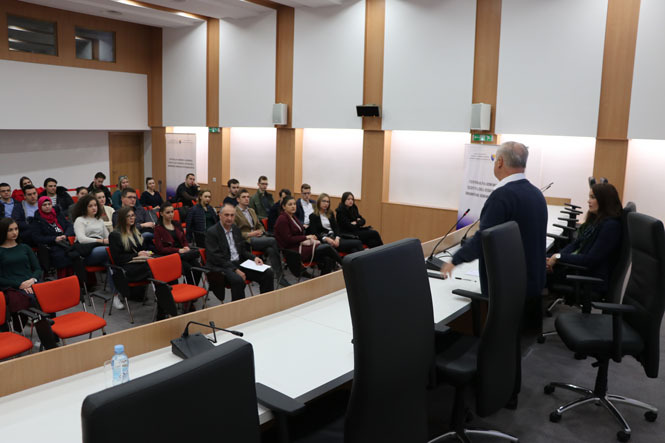 Sarajevo, 29.03.2019 – A group of 60 students of the second year of Faculty of Law of the Sarajevo University, led by doc dr Lejla Balić visited the BiH Central Election Commission today. 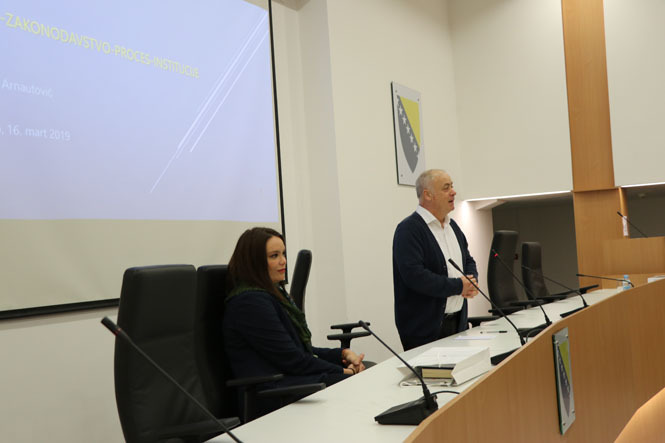 A lecture on Electoral System of BiH was organized as part of the visit. 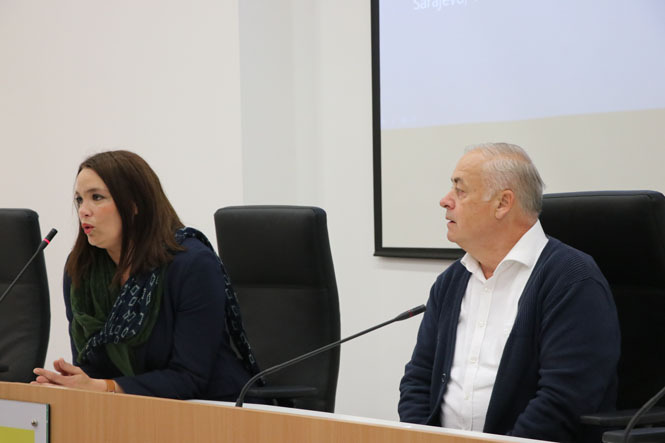 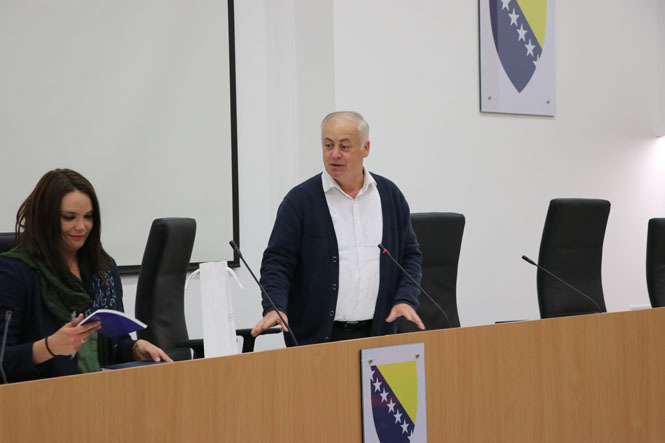 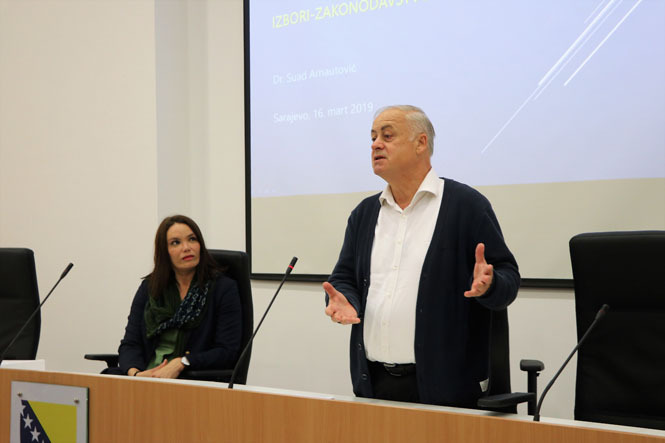 The lecturer, dr Suad Arnautović, member of the BiH CEC, presented the latest activities and decisions of the BiH CEC concerning the indirect elections to the House of Peoples of the FBiH Parliament. 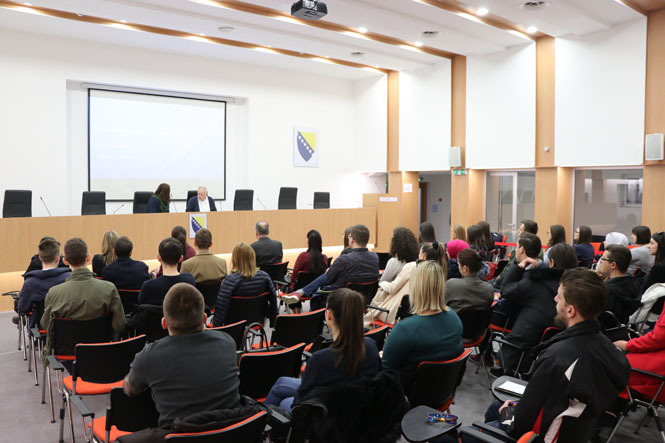 The electoral system (fundamental principles and institutes), as well as electoral system of BiH are studied as part of the Constitutional Law. 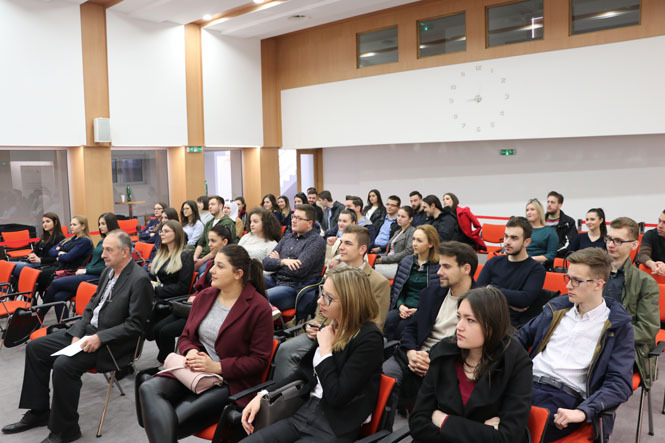 Thus, the students had the opportunity to meet with election experts, receiving quality knowledge of the concrete area. 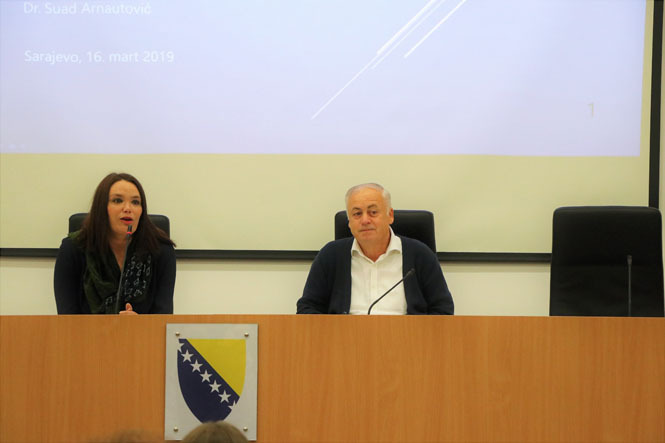 This is a continuation of good practice of the BiH CEC to cooperate with education institutions in BiH. 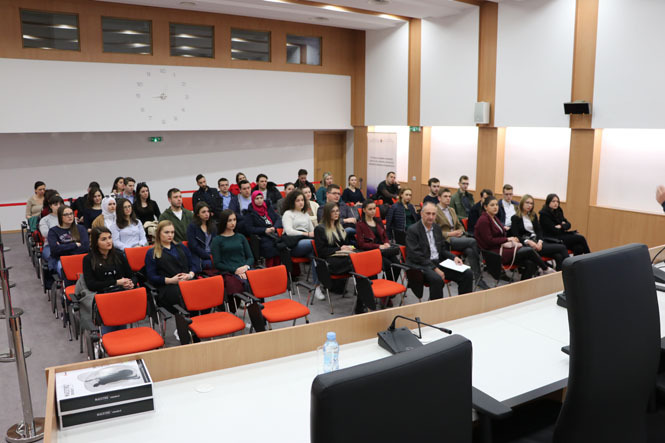 Similar visits were organized for the students from Mostar and Zenica, but also for youth associations from the entire country.